"Not only did I have a great experience visiting Ageless Beauty, but I was impressed with their knowledge and high level of integrity. Virtually no waiting for me, and no tricks." "I'm a huge fan of Cheryl's. I have gotten Fraxel treatments and Juvederm from her, and she's extremely knowledgeable about the treatments and does a very thorough job. Her prices are also really reasonable (I shopped around before going to her) and if you buy a series of treatments you get a discount which makes her prices even better. To top it all of Cheryl is a total sweetheart -- she's easy to talk to and makes you feel very comfortable. She even let me use her computer to fill out a form online so I could get coupons to use for Juvederm treatments in the future!" "I have gotten Botox (plus Restylane & Juvederm fillers a couple of times) for the last seven years. I went to a Harvard-educated cosmetic dermatologist in Marin County as well as an MD in a now defunct laser clinic in SF. I am also an RN who is very knowledgeable about these cosmetic procedures. Today, I saw Cheryl at Ageless Beauty Skin Clinic and I was happily impressed and beyond thrilled! Her education and credentials speak for themselves (she is a Master of Science prepared RN as well as a certified wound care specialist/WOCN); however, her skill with the Botox needle superseded all of my expectations. If you are a novice, or an expert at receiving Botox injections, look no further for your next clinician. Cheryl is the best, in my opinion. Not only did I barely feel anything...NADA!....she was MORE than reasonably priced. She is a natural...genuine and warm. She makes you feel comfortable and secure almost immediately. The office is lovely and conveniently located above a reasonably-priced parking garage (as there is NO parking on Union St.) and their office (and staff/family) is lovely and inviting. One of the things I most appreciated was the fact that Cheryl did not try to UPSALE me into getting additional Botox around my eyes (she said I didn't need it-JOY!!!) nor did she attempt to elude or suggest that I needed additional fillers (between my brows or around my mouth).....unlike the other two MD's I used to see. I went into the office assuming that they would suggest or insist that I couldn't leave without some Juvederm....quite the contrary! Cheryl also stands by her work. She told me if I wasn't happy with the results within a week, I should come back in and she would fine-tune whatever was necessary. I highly recommend this quality group of professionals. Thank you so much Cheryl." "I've been talking about getting botox for quite a few years now. I'd done the research, spoke with botoxed buddies, and studied the after pics as if I was choosing a sperm donor. I am ridiculously happy I followed through with the procedure because my forehead now looks as smooth as a babies bottom! So long frown lines! The wonderful experience with Ageless Beauty Clinic, and more specifically, Cheryl, seems to echo with all of her patients. She is friendly and puts you at ease, while seamlessly explaining your options. This was a simple painless procedure that was just way too easy. Now, I understand why so many women become botox whores!! Lastly, I've also found that Ageless Beauty Clinic is one of the most reasonably priced places in the Bay Area for botox and other skin services. Stop searching, you've officially landed in glorious skin heaven!" 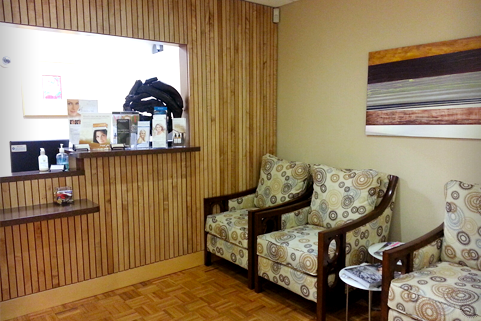 "Returned to Cheryl for my 6-month touch up and Cheryl's service is just as impressive, painless and perfect as ever. Plus she tossed in a full-size of her physical SPF 30 sunscreen, which is a clone of the fancy Skinceuticals product. I actually prefer Cheryl's clone to the original; not as watery and makeup sits better over it. Cheryl remains the best." "I have seen Cheryl now twice, brought two friends to her and have other friends that have been seeing her before me. I had a one injectable experience before Cheryl with a plastic surgeon, which was not nearly as informative or reassuring as Cheryl. She really works with you to decide what the best treatment and course of action is. I am confident that no one will disagree." The nurse was very knowledgeable on the service and made me feel comfortable. She cleansed my face and then put on a topical solution to numb my face. I waited for about 1/2 hour and she started on with the procedure. I was expecting it to hurt (like when I got the photo facial at a different med spa) but it didn't. For the first few days my face was swollen and it looked like I had spent all day in the sun with no sunscreen. That being said, I still Immediately noticed results. The following few days, my skin started to peel and it felt like sand paper. I used Skin Ceuticals Epidermal Repair (which I got here) in the morning and it really sped up the process of healing and making my skin feel better. Like I said, it's been a week and I get compliments every day on how smooth my skin looks and I keep noticing better results with each day that follows. I'm going back in three weeks for another treatment. The nurse and staff were great. The price was also very good, compared to what you'd find down town. I highly recommend getting your Fraxel service here!"